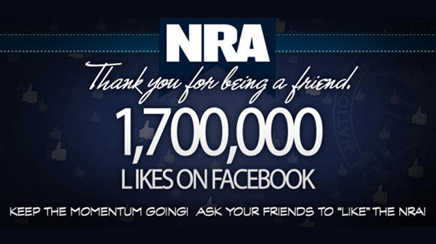 The NRA's decision to shut down its social media channels in the aftermath of the tragic school shooting in Newtown, CT has divided digital marketing and crisis comms experts. The National Rifle Association's decision to shut down its social media channels in the immediate aftermath of the tragic school shooting in Newtown, CT, last Friday has divided digital marketing and crisis communications experts. The NRA took its Facebook page offline and ceased activity on Twitter after news spread on Friday that a gunman opened fire at Sandy Hook Elementary School, killing 26 people, including 20 children. Both accounts were active again by late Tuesday afternoon, when the NRA issued a statement offering condolences to the victims. The gun rights advocacy group also said it will hold a “major” news conference in Washington this Friday. Industry experts told PRWeek that the decision to go dark on social media is generally counterintuitive to how companies should respond to a crisis in a socially connected world. However, some contend that the tactic was smart in such a highly charged, emotional situation. He adds that even the statement the NRA eventually made, saying it is “prepared to offer meaningful contributions to help make sure this never happens again,” would have been re-tweeted and mocked as too little, too late, or worse. “In this particular situation, with this specific organization, my sense is that they were better served not adding fuel to an already raging fire,” Opperman explains. The NRA did not return inquiries seeking comment on its decision to stop using social media in the days after the Newtown shootings. He explains that anti-gun groups would have hijacked comment threads and used the NRA's Facebook page to launch their own campaigns at a time when the organization could not stick up for itself without looking incredibly insensitive. “A range of organizations, both liberal and conservative, are getting pretty sophisticated at [hijacking] social media pages,” says Lawrence. However, he contends that the NRA erred by not explaining itself during the self-imposed four-day blackout. However, other industry leaders believe the NRA tried, and failed, to rewrite the rules of social media. “When a brand or organization enters into social media, they have a responsibility, or at least there is an expectation placed upon them, to be social – not just when it's easy, but always,” says Rachel Kennedy Caggiano, SVP at Social@Ogilvy. She adds that it is not completely accurate to characterize NRA's actions as a “social media blackout.” People could still view its Twitter page, and until the NRA's most recent announcement, its last tweet was for a Christmas-themed giveaway contest. Shift Communications CEO Todd Defren also believes the NRA made the wrong call. “It was like pleading no contest in the court of public opinion,” he says. Still, when Defren posed the question to his friends on Facebook – many of them PR professionals – he was surprised to see many say the NRA made the right decision. “Essentially, they said that unless the NRA is ready to change its stance a little bit, it might as well just shut the whole thing down,” says Defren. Now that the NRA says it is prepared to ensure another tragedy like this never happens again, the group is signalling its willingness to soften its stance on gun-control measures. Defren thinks the organization has no choice but to be less unyielding in its beliefs, given the mood of the country. Levick Strategic Communications crisis and litigation practice chair Gene Grabowski agrees.